GSMArena team, 14 July 2015. It's not every day we have a true record holder in our hands, and that's exactly what we were getting ready for waiting for the vivo X5Max to arrive. 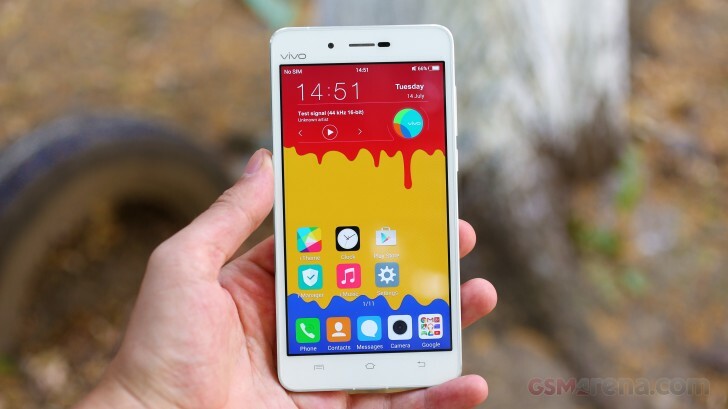 The slimmest smartphone in the world for more than six months now, the 4.75-mm X5Max snatched a crown that had been tossed between the Gionee Elife S5.1 and the Oppo R5, each of them holding it for a fleeting month or so. You can then imagine our disappointment when it turned out we have the global version, which is "only" the third-slimmest phone in the world. A fraction of a millimeter thicker than the China model, the vivo X5Max is an extraordinarily slim device nonetheless, most certain to impress with a profile you wouldn't normally attribute to a smartphone. It really looks almost like a planar object, its two dimensions much greater that the third, so to speak, in math terms. In terms of hardware, the X5Max is less exciting, relying on the now ubiquitous midrange Snapdragon 615, coupled with the equally commonplace 2GB of RAM. It doesn't skimp on features though sporting a 13MP primary camera behind a fast f/2.0 lens, as well as a 5MP front-facer. Another in a long line of designer Chinese smartphones, the vivo X5Max relies on the proven formula of striking looks and all-round capable hardware. We don't expect it to outperform flagships, but its priorities lie elsewhere and the X5Max scores high on style. While it will certainly be on the short list of anyone looking to stand out, the smartphone needs to prove it has enough substance to match its upmarket exterior. We're here to examine it in detail and we kick off with the unboxing and hardware overview.